Substance use - and abuse - has existed in virtually all cultures throughout human history. Canada is no exception to this. But what may come as a surprise are the rates and the substances themselves that are most liable to abuse in this country. A recent study estimates that the cost of substance abuse is equivalent to $1,267 for every man, woman, and child in Canada in terms of lost productivity, health care, and law enforcement. And this does not include the personal cost. It is an issue worth considering. 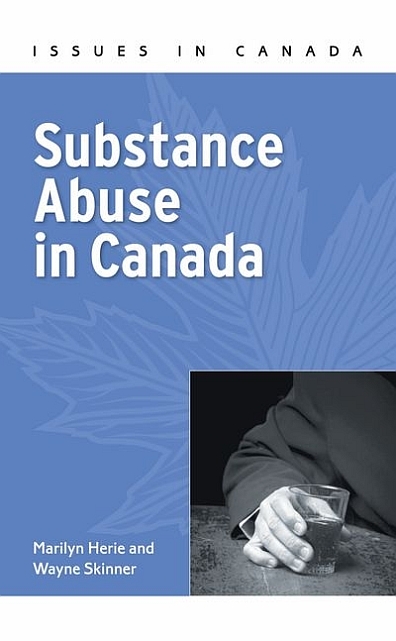 In an accessible and engaging style, this short book presents the latest research, survey, and interview data on substance abuse, taking into account Canada's regional differences and demography. It describes the models used by experts to explain substance abuse and addiction, and evaluates the various social policy, psychological, and medical solutions. Students and interested general readers alike will learn a great deal about how experts have come to understand the complicated, controversial topic of substance abuse. Addressing the key issues that challenge Canada today, these short books are written by experts to engage readers, explore debates, and evaluate solutions. treatment across Canada and internationally. Department of Psychiatry in the Faculty of Social Work at the University of Toronto. He also directs the Addiction Studies Program in Continuing Education at the University of Toronto's St Michael's College and teaches in the School of Social Work at York University.